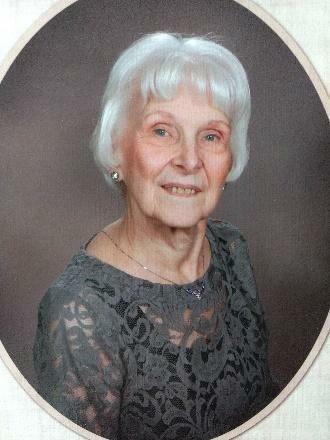 Joyce Ann Eneberg, 81, of Roscoe, IL (previously of Davis, IL and Addison, IL) passed away suddenly January 30, 2019. Joyce was born January 4, 1938 in Chicago, IL to Joseph and Julia Cieslewicz. Joyce married Ralph Eneberg on February 23, 1957 at the age of 19 and they eventually settled down in Addison, IL to raise their seven children. She worked as a secretary for A-1 Air Compressor in Addison for more than 20 years until retiring in 2003. Joyce enjoyed her Quilting Club, luncheons with her many life long friends, the Red Hat Society, her cats, and being the family glue to keep her children connected. She is survived by her seven children, Roy Eneberg, Richard (Debbie Trippodo) Eneberg, Robert (Mary Fredrikson) Eneberg, Geri (Michael) Sorwell, Karen (Thomas) Farruggia, Dale (Eileen Torino) Eneberg, Kristin (Brian) Boldon; 13 grandchildren, Joe, Krystina, Nick, Dan, Tony, Callie, Alex, Andy, Amanda, Johnny, Jackson, Grace, Charlie; one great-grandchild, Lee; several nieces and nephews. Joyce is predeceased by husband, Ralph; brother, Joseph Cieslewicz; sister, Jeanette Brown. A memorial service will be held at 10:30 a.m. on Saturday, February 23, 2019 at St. Mary’s Catholic Church, 606 W. Main St., Durand, IL 61024. Memorials may be made to the American Heart Association.